Dr. King had a dream, do you? Dr. King has been dead longer than he lived. However, it was still a life well lived. If Dr. King was still alive today he would be 83 years old. On Sunday, I had the privilege to host a gospel concert in my community as a wonderful tribute to his life and legacy. In his famous “I have a Dream speech” Dr. King, spoke of a world where his children would not be judged by the color of their skin but by the content of their character. Too sad, he would never see it. I strongly believe Dr. King was well aware he would never experience his dream however, was willing to pave a road of ease for the next generation. What a self-less act. When I think of Dr. King I often think of the patriarchs of faith in the bible. They believed with unwavering faith yet never saw manifestation. Joel 2:28 reads:”And afterward, I will pour out my Spirit on all people. Your sons and daughters will prophesy, your old men will dream dreams, your young men will see visions. Dr. King was the one with the dream, you and I are the one with the vision. What Dr. King started continues through you and I. As my Pastor says, “Whatever God stirs in your heart to do, you can not run the entire distance, there are others who need to run the distance after me.” Will you run the distance? What’s your dream that will impact the next generation? Just think if Dr. King never had a dream, remaining comfortable in his present? 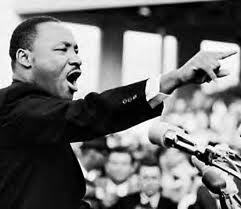 I am most thankful MLK dreamed a dream. He never saw it but his dream allowed this little brown girl from immigrant parents to attend a college first created for white girls, to graduate with honors and work in an industry not so welcoming to minorities. Now I can raise children who can have the same opportunities Dr. King dreamed. So again, I ask you “what is your dream? and how will it impact the next generation. Thank you Dr. King, your dream is now my reality!